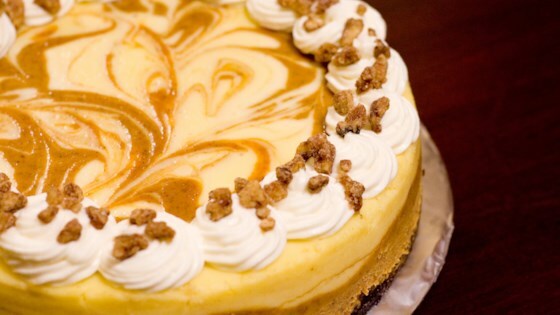 "This is a wonderful pumpkin cheesecake with a gingersnap crust. The gingersnap really does make a difference." This is a great recipes but I found that making the 18 serving size made better presentation. I also agree that it needed quite a bit more spice. I added all spice, cloves and ginger. I have been using this recipe a few years now and love it! I have even managed to convert pumpkin pie haters into lovers with this....the crust makes all the difference. Thank you for sharing.